Below are all the articles which were published in July 2018. July is Chamonix – Zermatt month! 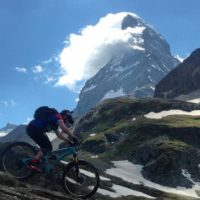 July update from Ride the Alps. The point-to-point season is underway and Jamie is riding three Chamonix to Zermatt trips this month.